An appositive phrase is one that restates a preceding term, or expands or explains it, in a parenthetical statement. There are three variations of appositive phrases: “Her dog, a bull mastiff, looks ridiculous with a pink bow stuck to her head” features a noun phrase. “His favorite hobby, knitting, is rather unusual for a man” includes a gerund phrase. “The Tahitian’s ambition, to become an ice skater, is unexpected” has an infinitive phrase. Note that these three types of phrases are explained below; the distinction in the phrase types as applied above, as opposed to the types described below, is that each type serves as the basis for an appositive phrase; on their own, they need not be appositive, or set off. 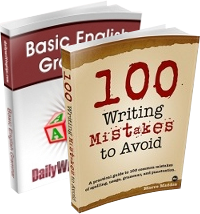 A gerund phrase includes a verbal, a hybrid that functions as a noun (or adjective). There are three distinct functions: “Juggling knives is not recommended as a relaxation technique” includes a gerund phase as the subject of the sentence. “I’m going for a long walk off a short pier” features a gerund phrase as the sentence’s object. “She’s saving up for a vacation in Antarctica” has a gerund phrase as the object of a preposition. An infinitive phrase includes the word to and a verb as the basis of a modification of a root sentence: “His effort to pass the bill doomed his political ambitions” includes an infinitive phrase that functions as an adjective modifying the previous noun. “He plans to see the movie” features an infinitive phrase that functions as the sentence’s object. “To write of the experience is to dredge up unpleasant memories” has an infinitive phrase that functions as the sentence’s subject. “To say as much is to admit guilt” includes an infinitive phrase that serves as predicate nominative, or a substitute subject. “I went to the store to buy some ice cream” features an infinitive phrase that stands as an adverb (modifying the verb went). A participial phrase consists of verbals ending in -ing or -ed, or another irregular form of a verb, and serves as an adjective: The participial phrase in “Having been lied to before, I was wary” modifies the word I. The phrase may be parenthetical within a sentence, too: In “You, knowing what you now know, are in a better position to judge,” the participial phrase modifies the word you. I’m confused; the example you give in #1 for an absolute phrase doesn’t appear to be substantively different from the participial phrase described in #6. Your description of absolute phrase mentions that the phrase has a subject, but the phrase in your example doesn’t appear to have one…? “7 classes of phrase”, surely? Or, better yet, a “Seven”. Mark, I’d give this post a 10. Excellent post, Mark. However, in #3 you say that “She’s saving up for a vacation in Antarctica” has a gerund phrase as the object of a preposition. That sentence construction appears to be essentially the same as the prior example (“I’m going for a long walk off a short pier”) in which a gerund phrase serves as the object of the sentence. Please explain the difference. as I seem to be missing it. I’m having some difficulty with your explanation of absolutes in item 1. The definition I’ve most commonly encountered is that it is an expression grammatically independent of the rest of the sentence, usually (although not always) consisting of at leat a noun followed by a participle. Every example given in the various places I’ve seen explanations included a verb, usually (as noted) the participle–as, indeed, does the example in item #1. And, there isn’t actually a subject in the example, which increases the difficulty in applying your explanation. And I’d agree with Chris–there is no distinction between items 1 and 6. And in item #7, “when” is functioning as an adverb, not a preposition. Can “when” even be used as a preposition? Good point; it was a poor sample sentence. I’ve replaced the sentence with a more suitable example. 1) ‘Absolute Phrase’ – Journalists might write like this (to save words) but I have never heard anyone whose native language is English actually *say* anything like it. 2) ‘Gerund Phrase’ – Kathryn has already hit the nail on the head here. I can say nothing better, except to point out that ‘vacation’ is the noun-object of a preposition. The examples in number three–your gerund phrase citation–are rather torturous. Better examples would utilize the phrase as nominatives: “Smoking cigarettes usually leads to medical complications,” or “Baking cupcakes is both a relaxing pastime and a way to make a little extra money.” Gerunds can function as objects, but your examples here appear to be less object-case than part of the verb form/tense. The sample sentences under the “Gerund Phrases” section have no gerunds at all. “Am going” and “is saving” are both verb phrases for their respective subjects “I” and “She.” “For a long walk off a short pier” contains two prepositional phrases as are “for a vacation in Antarctica.” Every prepositional phrase begins with a preposition. A gerund used as the object of a preposition comes after the preposition. “Going for a long walk off a short pier is my plan.” Now, this is a gerund phrase used as a subject. You might want to add that gerunds always end in -ing and are used as subjects, direct objects, predicate nominatives, and objects of prepositions. 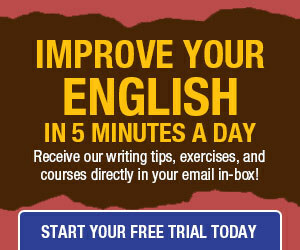 Your other explanations and sample sentences have errors as well. This is an undesirable document and should be taken down from this site. On what do you base your expertise? What about verb phrases? I don’t see them listed here. I have seen also infinitive and gerundial clauses and, as far as I know, there are only three types of clauses: relative, noun and adverbial. Can you clarify that, please? I think there is a clause called noun clause. For example, in ‘ what you did this afternoon’. Let me yes this in a sentence. What you did this afternoon is unforgettable. In this, what you did this afternoon serves as a clause and a noun clause for that matter. It also serves as the subject of this sentence. Therefore, there is a clause called noun clause. Thank you.